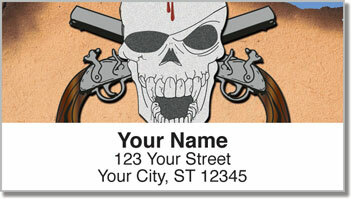 Both swashbucklers and land lubbers will enjoy this cool return address labels design for those of us who are pirates at heart. The next time you pour yourself a cup of grog and drop anchor to prepare some outgoing mail, use these fun labels to give each envelope and package some seafaring personality! 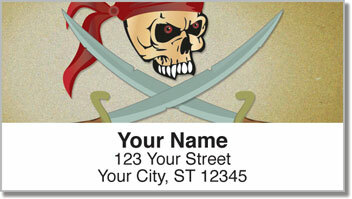 Pirate Address Labels from CheckAdvantage will shiver your timbers and blow you down! That's because you'll be shocked at how much easier it is to fill out envelopes using these convenient, self-adhesive labels. 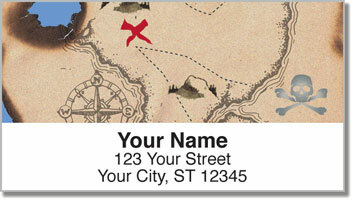 You can also use them to mark all kinds of personal property with your name and address. 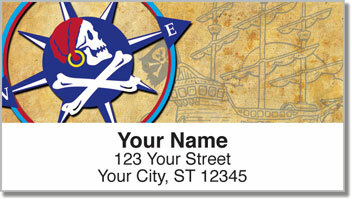 Get your very own Pirate Address Labels today! Complete your order with a set of matching checks!